The last time we looked in on the work of Italian director Maria Pia Fanigliulo she was busy twitching the faces of Londers to the drum & bass beats of Histibe. In the intervening two years MaPi has been busy making music videos for the likes of Em Rey, NonGiovanni and Marter, and is currently on the hunt to find the perfect festival home for the premiere of her new dramatic short film Fragments of May – an ambitious, elliptical tale of a young woman affected by a breakdown. We caught up with MaPi to discuss how she approached crafting a short in which the emotional rather than the temporal timeline guides an audience through the film’s dual, overlapping narratives. Your music video work encompasses live action, hand drawn and computer animation. How would you say this straddling of forms allows you to better express yourself as a director? I consider them as different tools in the same toolbox. I freely use them to build the picture I need. This approach probably comes from my studies at CalArts in LA, where I was exposed to the three of them simultaneously and in a fluid manner. Fragments of May is your first narrative live action short since Blacktree, your CalArts thesis film. How did the experience of this film differ from making a short whilst still part of film school? During the two years after school, I only shot music videos, to explore different techniques and define my style. Yet I was craving storytelling which wasn’t merely based on pace. Meanwhile I also worked in production on high-budget films and I wrote the script of Fragments of May as I was commuting to work – I think the gray routine of commuting did indeed influence the mood of the piece. I then tried to send the script around and that’s how I met Paul Harry Thomas. His company xFilm was looking for new challenges. Paul liked the concept of the film and decided to add Fragments of May to his slate of shorts. I was very lucky in finding someone like him, who replaced the school at a logistical level. Finding help for shorts is difficult as they have no commercial appeal. I am grateful xFilm decided to invest in the idea in terms of funding, crew and resources. We shot for five days, which is a long time for a short. In order to re-create the flashbacks, I wanted to get different slices of May’s life in different moments, so we needed several locations and variations. Paul defined it as his “most ambitious short yet” but he didn’t object to the complexity of the shoot. He actually tried to facilitate it. Most of the short’s scenes are based on true stories. Where did you draw your research from to achieve that level of authenticity? During the past few years, I have witnessed more or less directly several breakdowns of young peers. The mental discomfort I encountered was not the result of a dramatic personal history or any worrying medical records. It was my friend, my neighbour, my sister, even myself after graduation, struggling to transition into adulthood. As I find this theme very compelling nowadays, I started researching literature about mental health related to young adults. I obviously focused on David Foster Wallace and Infinite Jest, which I always admired. Around that time my boyfriend gave me a copy of a collection of short stories written by Wallace throughout his life. My interest landed on Trillaphon, it was his very first story and had a sort of naivety to it, which could work well in the short form. The mood of the story was incorporated into the structure of the true episodes, making the short film not only biographical, but a broader allegory on the matter. During the editing process, the sound designer Ken Parish gave me the idea of using some voice over. I had read Emily Dickinson and Sylvia Plath during my research, and used some bits of the first one in May’s monologue. It is surprising how her words on life and love feel contemporary, despite being written in the 19th century. How did the concept of May having ‘left Earth’ enable you to explore her state of mind as separate from her previous Earth-bound existence? The concept is an homage to a long lasting tradition in literature, which visualises mental illness as departing, or living in a different place. In Orlando Furioso by Ariosto, Orlando goes mad and flies to the moon. Don Quixote also makes a long onirical errantry which brings him to insanity. These are the narrative equivalents of the psychoanalysis, embodying the split between “subjective” and “objective”, “rationality” and “madness”, “me” and “others” and even “past” and “present”. It’s the dualistic trauma of the modern individual. In David Foster Wallace these themes get pushed to a different level, for they get disassembled and annihilated by his post-modern approach. His character’s perspective is intoxicated and distorted by the medications and the lack of connection with the social expectations around them. His elliptical storytelling, despite being in my opinion very classical, is also broken down and fragmented, not attached to any ideologies or values. In this sense, Orlando’s moon simply becomes a youth clinic. The split remains, yet I tried to portray it with more tangible and simple elements. You freely jump between the two narratives until they ultimately coalesce as a whole. Was that a rhythm you adhered to from the script stage onwards or more something you found during the edit? The non-linearity is a direct consequence of the split I just described. It’s been there since the start for I use it to describe May’s symptoms. 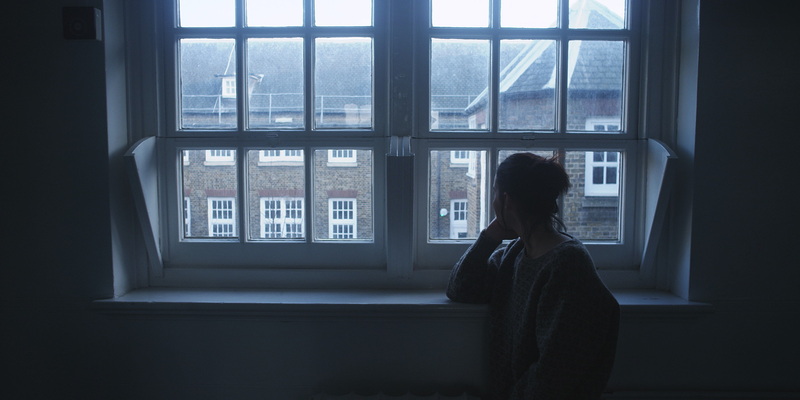 The film is ‘fragmented’ because it re-creates the sensorial experience of the mental disorder: the amnesia, the non-linear memories, the panic attacks, and the slowed-down side-effects of medication, but most of all the alienation, that immune mechanism which allows an affected individual to live through her own fall as if it’s not even her own. The film is ‘fragmented’ because it re-creates the sensorial experience of the mental disorder. I wasn’t interested in portraying the entirety of the events in the limited time of the short film, because I didn’t want myself or the viewer to feel comfortable to the point of analysing or even diagnosing May. I wanted to keep her perspective throughout, to make us feel as disoriented and fragile as she feels. My aim was to represent this discomfort cinematically by playing with memory and dualism. Every bit of May’s perceptions were carefully reconstructed through Sammy Paravan’s melancholic cinematography, Ken Parish’s hyper-realistic sound design and Kegan McGurk’s minimal vfx. Sara Menitra’s prosthetics and Karishma Harijani’s costumes also played a huge role in the process, along with Max Lincoln’s production design. I hope all these elements will give the audience an experience as close to May as possible. The plan was risky for I wanted to re-create in twenty minutes a complex emotional arc, which would have usually taken a feature-length to describe. I had to work a lot on the script to make the jumps as smooth as possible. I wanted the viewer to feel disoriented, yet I also needed to gain their trust as confusion is not a feeling we often like in films. Therefore I replaced the temporal timeline with an emotional one: the real events are discontinuous and jump between past and present, yet they come together in a consistent, linear emotional build up, which then leads to the traumatic climax of the end. Kelby Keenan gives a wholehearted performance in the central role of May. How did you come to cast her? What was the rehearsal process like? A friend of mine knew her agent. We had our first meeting in a café in Stoke Newington. She walked in with her long black coat and her big woolly hat. Her body language was so gentle and somehow fragile. She was just right. I then discovered that Kelby could play ‘by subtraction’, by not showing, by not disclosing. That seemed the right way to approach a damaged character like May, who needed to be dry and not too emotional. The rehearsals were somehow painful, as they revolved around the disintegration of the relationship between May and her boyfriend, due to her illness. We hardly ever rehearsed the script. We met many times, alone and with James Rallison (May’s boyfriend in the story) to explore their routine, playing a regular day in their lives, one day when May was doing well, and then another day when she wasn’t doing well at all, and how he coped with all of that. The things that came out were really strong, and brought us to the improvised scene on the carpet which was never scripted. Both Kelby and James faced big challenges to try to create an intimate relationship. We acted similarly with the relationship between May and Greg Kolpakchi (the young man in the clinic). The different ways May responded to these two male characters, before and after the accident, was a good device to clarify her split. I really hope all this work the actors made comes through in terms of truthfulness. On the other hand, all the other patients of the clinic, with the exception of Sophie Reynolds and MC Angel, are non-professionals who have never been in front of a camera before. I thought this mix of actors and non-actors was a way to get a certain heterogeneity between the people in the clinic. MC Angel’s Troubled Little Soldier spoken word verses act as summation of the core themes of the film. Was she cast for her existing rhymes or was that verse developed especially for the film? My friend Charlie San, the music composer, was the first person to get on this project. We discussed music and tone before anything else. We knew we wanted to keep the tension throughout by using only very little diegetic music, and then open up to a final song after all the puzzles of May’s story had been revealed. There is something I love about Wallace’s short story, the fact that the character calls himself “troubled little soldier”. The term seemed to be to me the degeneration of the mad knight-errant described by Cervantes, summarizing the irony of the mental illness. Yet I couldn’t imagine May or anyone else in the clinic really using that term, which seemed too literary. One night I was at a party at my friends’ house, and heard a lot of excitement coming from a small room where they were jamming. I walked in and I saw MC Angel rapping like a devil! All the people were dancing everywhere, her energy was fabulous. I immediately had the idea of using her as a patient of the clinic, as a modern lost minstrel, a troubled little soldier who grasps the story for us. I spoke to her about it that very same night. She decided to participate straight away as she had her own personal experiences connected to theme – like all of us. So I went home and revised the script. As for Charlie’s music, MC Angel composed the lyrics of Troubled Little Soldier way before starting production. It’s Angel’s take on the story and I think it works well with the music and the visuals. Charlie then recorded a rough track that Angel was listening to as we were shooting her performance live in the last scene. The song was a main inspiration for me throughout the whole process. I already know I want to work similarly on the feature, in which the music also plays a big role. You’ve said that you wanted Fragments of May to play with and push the boundaries of the short form by using ellipsis. Following your recent screening at BAFTA as part of xFilm’s new films preview, is that desire something which seems to have been part of the audience experience? We are all incredibly attached to plot. We miss it if it’s not there, we turn up with a bunch of questions. I have to say, I was surprised by how many people seemed to have embraced the elliptical structure of the piece. They told me that they gradually accepted the unconventional line of the short and stopped trying to search for the plot at any cost. I wouldn’t play with such a narrative device in a feature length, where there is more space for getting deeper and clearer into things. Yet I think the short form was ideal for this experiment, to portray a specific emotional palette, a slice of a character with a nihilistic tone and a certain incompleteness about herself. We are all incredibly attached to plot. We miss it if it’s not there, we turn up with a bunch of questions. One thing I might add: short films usually follow a certain unity of time and space, due to their length limitations. This simplifies the narrative, sometimes making it not multi-layered, so that watching it a second time doesn’t add much to the plate. 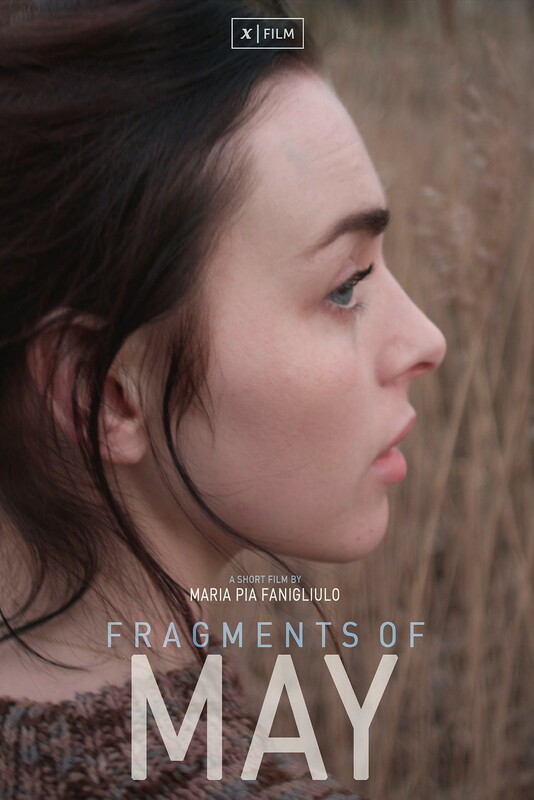 I was relieved to hear that many people who watched Fragments of May remarked that they would like to watch it again. I think this is due to the ellipsis, which add some mystery and make the symbology thicker, for the connections are not straight-forward or univocal. Watching it again might highlight new connections, or revise previous ones. I hope this will keep the short fresh, making it interesting to watch beyond the surprise of the first time. You’re currently developing your first feature, can you share anything about the story? What else will we get to see from you in the near future? I am working on several new music videos, which to me are vehicles to start collaborations with visual artists I love. From drawings to printing and costume tailoring, I am experimenting with new mixed techniques for each one of them. As for the feature, I am interested in dark themes, in social non-sense, in the development of technology which recently modified our concept of time and space. What I will bring with me of Fragments of May is the rehearsal process, several crew members, the mix of professional and non-professional talent, the in-depth preparation of the score and the design. Yet I am now interested in a more tragicomic tone and I am working on a dark comedy. May’s melancholia is now replaced by the non-politically correct humour of loser characters in their early thirties. They ramble and they mess up, they are insensitive and selfish. The are really on a completely different planet to May. It will hopefully be shot next year in Apulia, Italy.